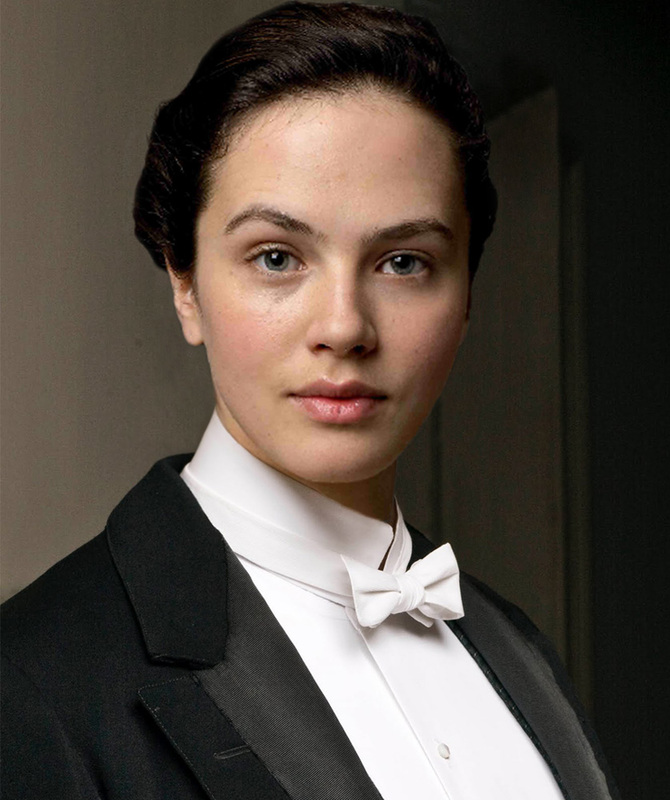 My latest TV crush: Lady Sybil, the third daughter of Lord and Lady Crawley on the BBC Mini-series Downton Abbey. 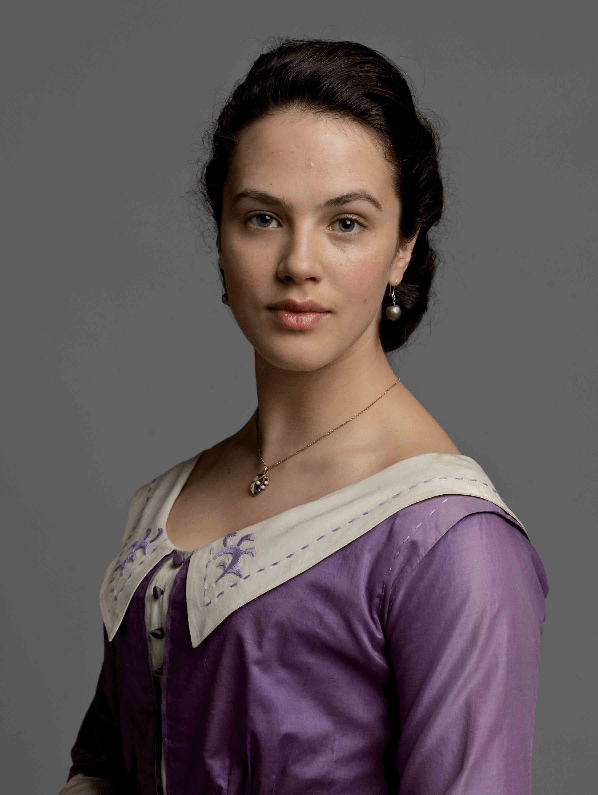 Played by actress Jessica Brown-Findlay. 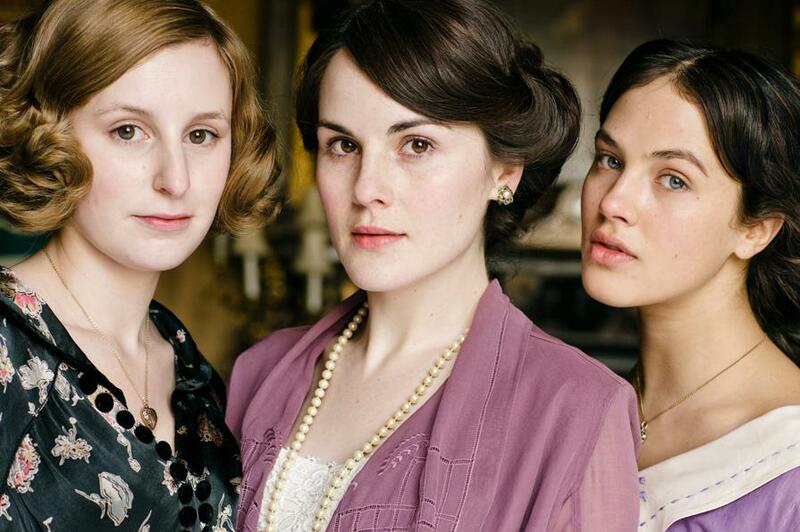 The story is set in a huge country manor house in the years just before World War I, and Lady Sybil is the firebrand youngest child; a suffragist, feminist and liberal. She champions housemaid Gwen’s desire to become a secretary to get away from doing house work and make a real living. And Sybil is stylish as well as daring – ordering herself a fashionable new frock with harem pants (although they didn’t exactly call them that). Smart, gorgeous political women are sooooo hot. I’ve got such a lady crush on her too!!! I don’t understand why everyone isn’t obsessed with her – I am!! And I really unrealistically don’t want her to have a relationship with a man, just cause I’ll be jealous!!! Wish her character was gay; at least bi! But I know that’s asking too much. She’s such a darling. 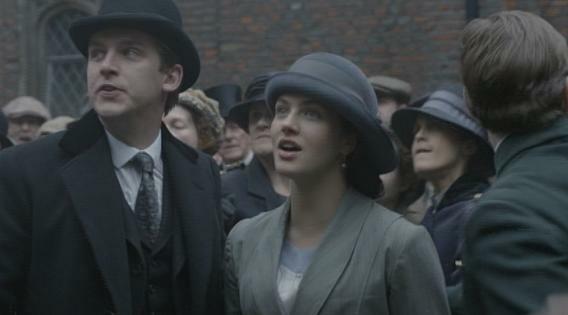 And her face reminds me so much of Ellen Popplewell from the Chronicles of Narnia – I think they look very similar. I can’t help thinking of it every time that I see her. Thoughts?